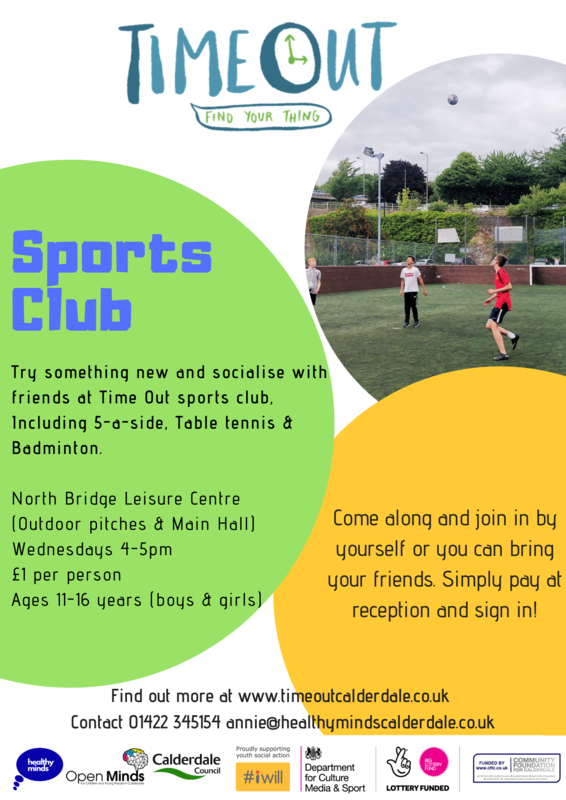 Try something new and socialise with friends aged 11-16 on Wednesdays, 4:00pm-5:00pm at North Bridge Leisure Centre with Time Out Calderdale for a quid- loads of fun. Time Out sessions are just £1 per session to play 5-a-side, table tennis or badminton. Kick about sessions, its up to you to decide! The courts will be hired for 5-a-side, but there will also be volunteers on hand who can run warm ups and teach skills. Or just simply show up on the day! Anyone aged 11-16 is welcome. This entry was posted in Health, Oct, Young People.